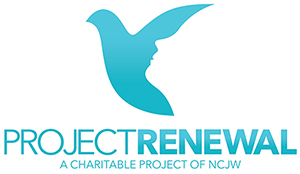 Project Renewal is a charitable project of NCJW St. Louis. The program is designed to empower underserved women by helping them gain new skills and build confidence to take control of their lives and achieve their goals. We partner with local organizations that provide residential housing to women going through difficult times. Our partner organizations help women who are victims of domestic violence, recovering from addiction, suffering with mental health issues or making a transition from homelessness. Project Renewal participants come to the NCJW office for an afternoon of learning, shopping and pampering. They leave feeling uplifted and renewed. We provide each guest with a gift card to our Resale Shop and an NCJW volunteer to help them choose complimentary items such as career clothing/shoes and houseware items. We have learning sessions that focus on specialized skills to help our guests achieve the specific goal that is most important to them, whether that is gaining meaningful employment or renting their first apartment. Guests also learn basic hair, skincare and makeup tips before receiving a beauty makeover for an entirely renewed sense of self-confidence. Each woman leaves NCJW with a gift bag containing beauty care products. Project Renewal is often life-changing for the women who participate. With our help, they are able to gain valuable skills they can put to use every day to manage their personal and professional lives. Click here if you would like to volunteer for Project Renewal. You can sponsor a Project Renewal participant for $180 or an entire session for $1,800 here. Contact us via email at info@ncjwstl.org or call 314-993-5181. Click here to print the Project Renewal brochure.